I’m happy to announce significant updates to the map interface in Astrospheric. These updates focus on improving performance, visuals, and filling time gaps. Full update details can be found here. Astrospheric now produces hourly map imagery for Clouds and Transparency. 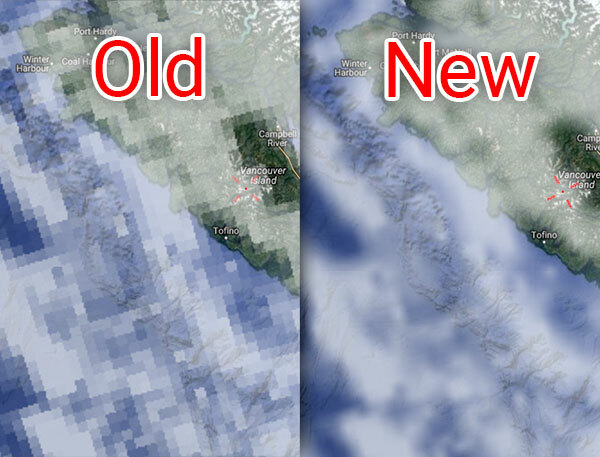 Additionally, the cloud imagery has been upgraded to improve the map's appearance. Moving through the new cloud imagery is easy. 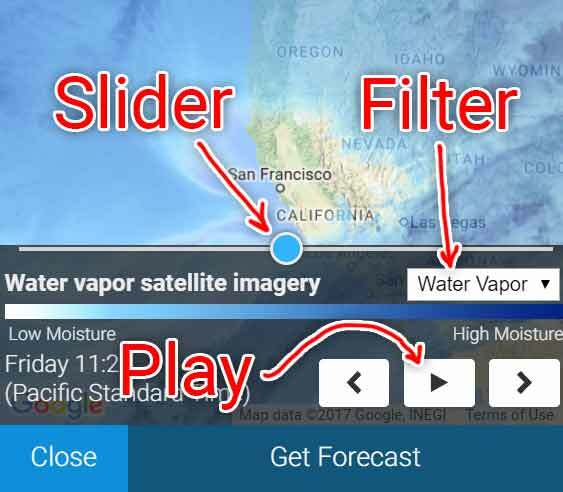 Click on any hour in the detailed forecast to jump right to that hour's image, or hit play and watch the clouds go by. The full screen map has been updated with a new slider to jump to any hour and a play button to animate the forecast. Lastly, Astrospheric is now gathering Water Vapor and Visible Light satellite imagery every 30 minutes to give you even more information to make observing decisions. Thanks again for using Astrospheric and providing valuable feedback. Together we're building the most advanced astronomy weather app available. Lots of great updates still to come!.